Mark McDaniel is the president and CEO of Cinnaire in Lansing. He is an at-large board member representing the whole state. Cinnaire is a Community Development Financial Institution (CDFI), offering equity and loan packages to make affordable housing deals happen. See Cinnaire’s full timeline history here. Mark has strategically diversified the organization to provide access to permanent debt financing, construction lending, technical assistance, predevelopment lending, youth leadership training and title services. In 2004, Mark was the recipient of the Entrepreneur of the Year Award from the Greater Lansing Business Monthly and in 2008 received the Governors Corporate Service Award. In 2011, Mark was awarded the Michigan Habitat for Humanity’s Bernice Bensen Award recognizing his long service and commitment to Habitat for Humanity. He was also the recipient of the prestigious Terry R. Duvernay Award in 2013. The award recognizes lifetime achievements of leaders in the affordable housing industry. Mark was recognized by the Children’s Trust Fund and awarded the 2016 Children’s Advocate Award. Mark received his B.S. in Urban Planning from Michigan State University in 1977 and has over 30 years of experience in the areas of affordable housing, community development, urban planning and market research. 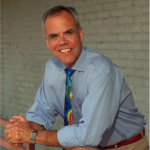 In Mark’s professional career he also formerly served as Vice President and President of a major development company in Michigan, and as Director of Development for another statewide nonprofit housing corporation. Since Cinnaire’s inception in 1993, with Mark at its helm, the agency has committed over $3.5 billion of loans and equity for affordable housing and community development efforts. Cinnaire is recognized nationally as one of the top nonprofits in the country and has been named by The NonProfit Times as one of the Top 50 nonprofits to work for and Crain’s Detroit Business as one of the Cool Places to Work for in Michigan.